After our CADWorx Plant Bolting Done Right Training Webinar we received a few questions that I would like to share the answers to. Since that time CADWorx 2016 was officially released and there are a few enhancements I would like to discuss with you on as well, but first, here are the questions. Where can I find this Training webinar as well as others? Our Training Webinars can be found on our site at: http://www.ecedesign.com/cadworx-analysis-training-videos/cadworx-plant-professional-training-videos/. ECE customers who are registered have access to our training videos as well as previously recorded non-training webinars. In addition, we have posted short overviews of the videos on our YouTube Channel. Is the component class the only thing tying the components together? CADWorx also looks to make sure the end conditions match, like face of flange cannot connect to buttweld end of pipe. Do you have to have lb at the end of component class for it to match up with the appropriate component? No it is not needed at all, and if you don’t have it in there your flanges will connect better to CADWorx Equipment. Just to verify, the option to turn the bolt length calculation off is only available in 2016? While no calc bolts are only available in 2016, its not really an option to turn it off, more or less a new bolt style that won’t be calculated. Watch the video in the link below demonstrating this new bolt style. What if you have a flangeless wafer style where bolts span the length of the 2 flanges + face to face of valve, (2) gaskets? 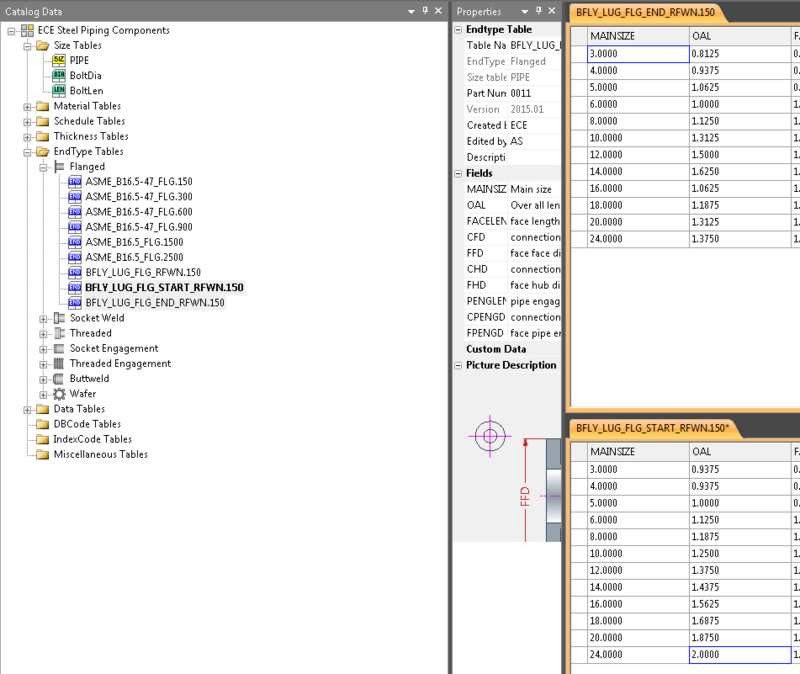 Wafer component bolts are automatically calculated. CADWorx will take the components in between the flanges and add up the distances including all gaskets, then give one overall length. Just make sure your wafer component is set to use a wafer end type.Components in the middle must have a wafer end type on both ends, with up to two component max, being allowed. In addition to the release of the Flange Bolting Done Right Training Video, ECE produced a followup Training video for CADWorx 2016 Bolting Enhancements. This video can be found on our site at: http://www.ecedesign.com/cadworx-analysis-training-videos/cadworx-plant-professional-training-videos/. ECE customers who are registered have access this video. The Define User Shape dialog has undergone a make over as you can see below. In CADWorx Plant 2016 we now have the ability to select our own end types instead of generic choices like; BW, SW, THRD, or FLG end types. Now each connection point of your user shape can be assigned to one of your end type tables from your catalog. This greatly increases the number and types of components you can create as a user shape. 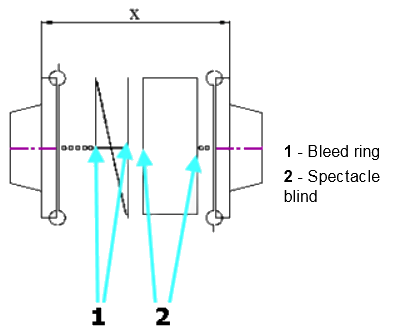 We understand bolting can be a difficult process. We hope you have found some valuable information in the videos and this post, but if you have any questions, dont hesitate to ask. We are here to help. 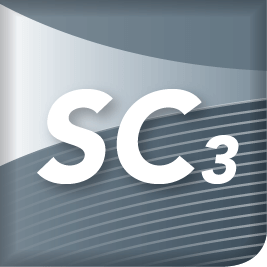 The new CADWorx 2016 Installer provides an updated UI with improved user workflow and support for SCCM deployment – a user request for quite some time! Install CADWorx on the system hard drive using the setup.exe installation file located on the CADWorx product CD. The installation process is relatively simple. As you go through the installation process, the software prompts you for required information. If Autorun is enabled, the setup procedure starts when you insert the CD into the CD- ROM drive. If the installation does not start automatically, double-click setup.exe and follow the prompts. Which version of AutoCAD does CADWorx use? Where will CADWorx be installed? Ensure you run AutoCAD once before installing CADWorx! 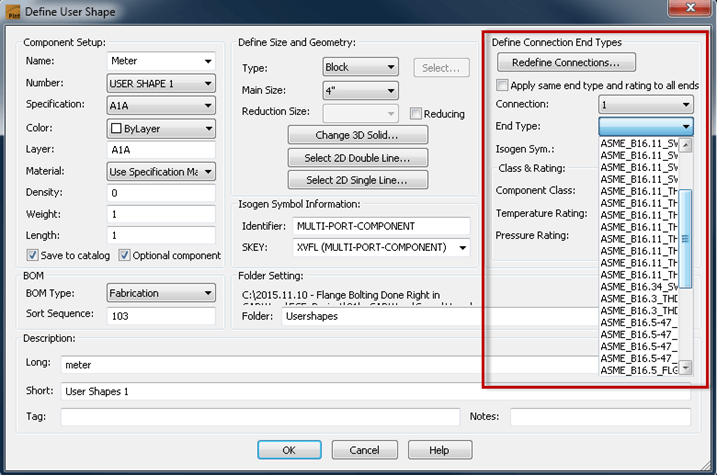 When installing a new version of CADWorx the AutoCAD profile settings are reset. When updating to a new version of CADWorx the AutoCAD profile settings are not reset. You must have administrative level rights to run the installer launch. You must also have elevated privileges to run the silent install instructions. In the command line type <CD-DRIVE>:\CADWorxSetup.exe, Alternatively, click Browse to locate CADWorxSetup.exe on the CD ROM drive. Click each product name, except for Specification Editor, to expand each software selection, and then type the serial number provided by P&ID Basic does not require a serial number. You can only install either P&ID Professional or P&ID Basic. Specify the license Select ESL (Network, Red), ESL (Local, Green), or SmartPlant License Manager (SPLM) in accordance with your company purchase. If you select SPLM, the software prompts you with a dialog box asking if an SPLM-based license machine is set up. Click Yes. The default license is SPLM. Type the location drive and folder in Install Path, or click Browse to navigate to a To use the default, click Next. Select the I agree to the license agreement and conditions check box, and then click Install. If the User Account Control dialog box displays, click Yes. During the installation process, a progress bar displays along with the status of the installation process. To view the readme, select the View Readme check box. The readme file displays after you click Finish. If you need to modify the license type after installation, you can re-run the installation process. Then, select Repair/Modify, choose Add or Remove Features, select the License Type, and then click Update. During the installation process, a progress bar displays along with the status of the installation process. To perform a silent installation of the software, type the required command instructions on the command line. You must have administrative level rights to run the installer in silent mode. You must select Run as Administrator from the right-click menu. Ensure you are in the directory of the CADWorxSetup.exe file. All values must be typed with quotations. ADDLOCAL,Specifies the CADWorx products to install. You can only install fieldPipe when you install PLANT_FEATURE. You can either install PIDPRO_FEATURE or PIDBASIC_FEATURE. Separate each option only with a comma. Do not place spaces before or after a feature option.,§ “PLANT_FEATURE”§ “PIDPRO_FEATURE”§ “FIELDPIPE_FEATURE”§ “SPECEDITOR_FEATURE”§ “PIDBASIC_FEATURE”§ “CORE_FEATURE”. 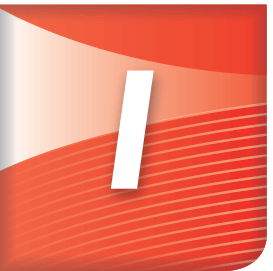 PIDPRO_SERIALNUM,Specifies the P&ID Profession serial number provided by Intergraph. You only need to type this option if you are installing PIDPRO_FEATURE.,See Example above. 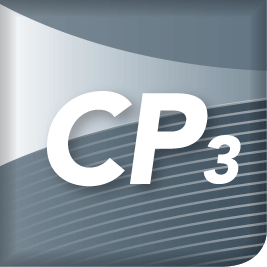 PLANT_SERIALNUM,Specifies the Plant Professional serial number provided by Intergraph. You only need to type this option if you are installing PLANT_FEATURE.,See Example above. 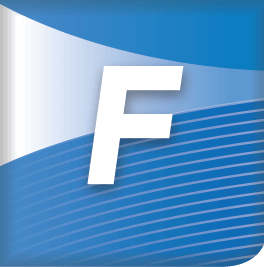 FIELDPIPE_SERIALNUM,Specifies the fieldPipe serial number provided by Intergraph. 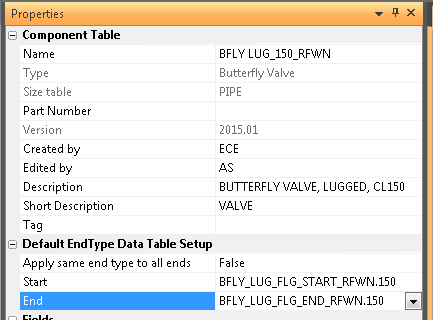 You only need to type this option if you are installing FIELDPIPE_FEATURE.,See Example above. To perform a repair of the installation, you need to run the command prompt as an Administrator, and then type the pertinent command instructions on the command line. Ensure you are in the directory of the CADWorxSetup.exe file. Runs the repair of the installer. Specifies that you are running a silent repair to the installation. With the silent repair to the installation, the installer dialog boxes do not display, and the repair runs in the background. The repair functionality only repairs products or features that were already installed. Enables you to start CADWorx in different versions of AutoCAD. You need to run the Setup_Profile utility with Administrator privileges. Select CADWorx: Enables you to select the version and product you want to run. 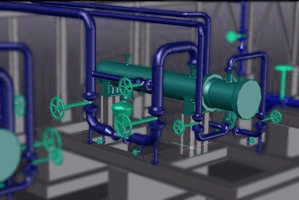 CADWorx Version – Specifics the version of CADWorx you want to run. CADWorx Product Location – Specifies the location of the CADWorx installation for the product you select from the Product List. Product List – Specifies the product you want to run, such as Plant or P&ID. 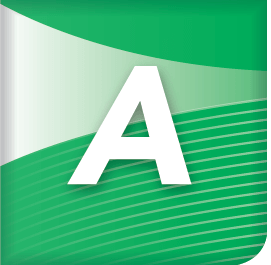 Select AutoCAD – Enables you to select the version of AutoCAD you want to run for the CADWorx version. AutoCAD Product Location – Specifies the location of the AutoCAD version selected in the AutoCAD Version List. 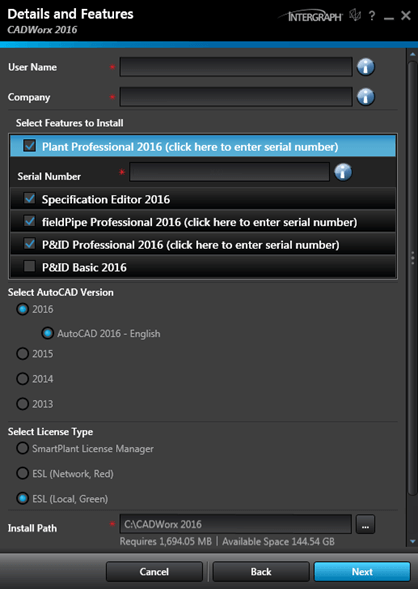 AutoCAD Version List – Specifics the version of AutoCAD you want to run. Lists only available and supported versions of AutoCAD. Click OK. The CADWorx [Product] [Version] Profile Created message box displays. Click CADWorx Version, and then select a version from the – The installed CADWorx products display in the Product List. In your [Product Folder], right-click exe, and then select Run as administrator. Select one or more products from the Product List. When you select a CADWorx product, the Current AutoCAD for that product displays below the Product List. Click Yes.The CADWorx product launches in the selected version of AutoCAD. “We were just told by someone down here in Louisiana that there will be no further releases of CADWorx“. I’m always shocked by this sort of sales (scare) tactic especially now that CADWorx 2016 is released but I do understand the pressures of the Dealer Channel and the difference between focusing on multiple products verses a single solution. The Plant Design Market is a support intensive market. Deadlines are real and deliverables need to be satisfied in short order. 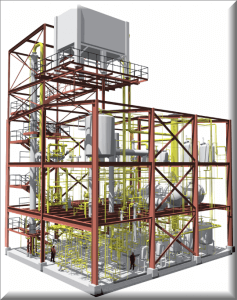 When you need help, the answer is not “YouTube”, a forum post or a general AutoCAD or Inventor Support Rep. Granted, these are nice things to have at your fingertips but what you really need is a “live” person that speaks and understands the Plant Design Software as well as your Plant Design requirements. That said, we are always looking for ways to improve so just drop me a line if you need anything! As we gather more information, ECE will followup with more information in the form of Webinars, Training Videos, Workshops and Demonstrations. Let us know if there is something specific you would like more information on!